Indian dams have failed to ensure long-term food security and have even increased instances of human displacement in the country, according to a United Nations report on the global water crisis. The UN World Water Development Report for 2018 shows that while such large hydropower projects are aimed at securing food sources and providing energy to industries, the results are often underwhelming. 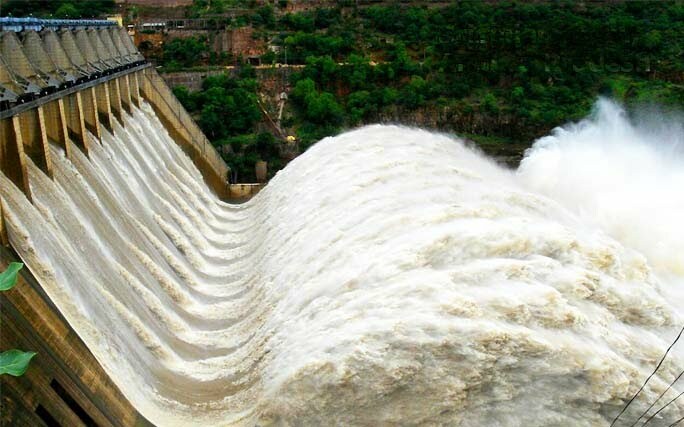 “The World Commission on Dams’ country study on India concluded that a century or more of large-scale water development had resulted in major social and ecological impacts, including substantial human displacement, soil erosion and widespread waterlogging while, contrary to stated objectives, achieving only limited food security benefits,” the report states. In 2016, India’s tallest dam, known as the Tehri hydroelectric, was declared virtually empty of usable water after a prolonged nationwide drought. Its 2.6 billion cubic metre storage capacity was reduced to nearly zero percent of normal capacity which when active, could produce a 1,000 megawatts of electricity. India is the world’s largest extractor of groundwater, followed by the US, China, Iran and Pakistan. Together, these countries account for 67 percent of total global extractions, causing even richly irrigated regions like the basin of the Ganges to experience water stress. The report adds that large-scale groundwater programmes have been operating in India for decades, though treating flood-prone regions still takes less priority than water-scarce areas. The UN estimates around five billion people could suffer as a result of water scarcity by 2050. Indian NGO Tarun Bharat Sangh, which is led by Rajendra Singh, is credited in the report with supplying water to more than a thousand dry villages in Rajasthan. The NGO has revived five rivers, recharged groundwater and boosted agricultural production by up to 80 percent, the report said. Previous articleDoes your sludge handling operation require a booster shot?